Baylor>Robbins College of Health and Human Sciences>Faculty & Staff>Faculty Directory>Lewis Lummer, Ed.D. Dr. Lummer is a certified Deaf Educator and is an integral member of the team that oversees the Deaf Education undergraduate program, where he teaches courses in Deaf Education and American Sign Language (ASL). Dr. Lummer also mentors the Deaf Education majors during their student practicum and meets weekly with the students during their internship. Dr. Lummer joined the Baylor faculty in 2010. 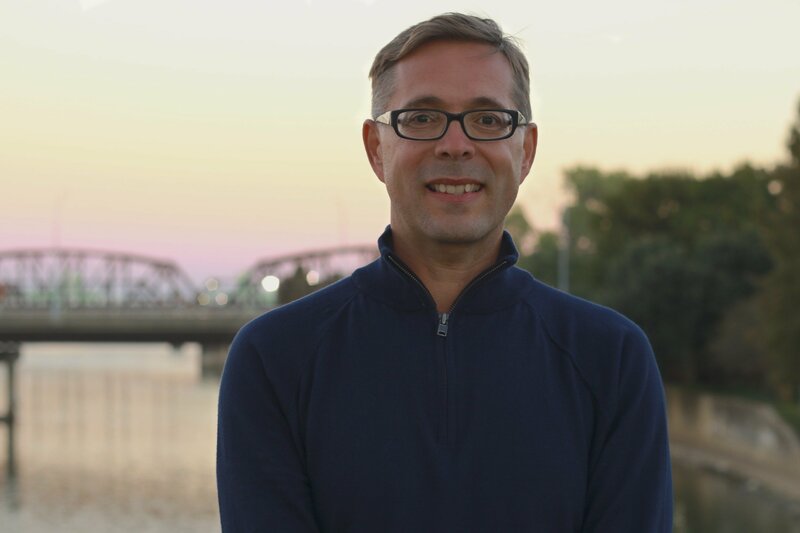 Prior to coming to Baylor, he spent seven years as a classroom teacher in Deaf education at multiple K-12 settings as well as eleven years on faculty at the university level. Dr. Lummer’s wealth of knowledge and experience as an educator in both K-12 and university settings makes him a rare and valuable resource for students, and he is happy to share his knowledge and experience to help develop the next generation of leaders in ASL and Deaf Education. History of Deaf Education, Deaf immigrants, Signed Languages, ASL literacy, and history of the Deaf Community. Dr. Lummer is proud to be a native of Chicago where he was raised by Deaf parents; his mother immigrated to America from Germany during World War II. Dr. Lummer and his beautiful wife of 19 years, Dr. Cynthia J. Plue, have two adorable children. Outside of the office, he enjoys biking, hiking, snow skiing, and going on adventures with his family.